"Annapurna" redirects here. For other uses, see Annapurna (disambiguation). Historically, the Annapurna peaks are among the world's most dangerous mountains to climb, although in more recent history, using only figures from 1990 and after, Kangchenjunga has a higher fatality rate. By March 2012, there had been 191 summit ascents of Annapurna I Main, and 61 climbing fatalities on the mountain. This fatality-to-summit ratio (32%) is the highest of any of the eight-thousanders. In particular, the ascent via the south face is considered, by some, the most difficult of all climbs. In October 2014, at least 43 people were killed as a result of snowstorms and avalanches on and around Annapurna, in Nepal's worst ever trekking disaster. Annapurna is a female Sanskrit name that literally means "(She who is) Replete with food", but is normally translated as Goddess of the Harvests. According to Devdutt Pattanaik, Annapoorna devi is "... the universal and timeless kitchen-goddess ... the mother who feeds. Without her there is starvation, a universal fear: This makes Annapurna a universal goddess ... Her most popular shrine is located in Varanasi, on the banks of the Ganges River." 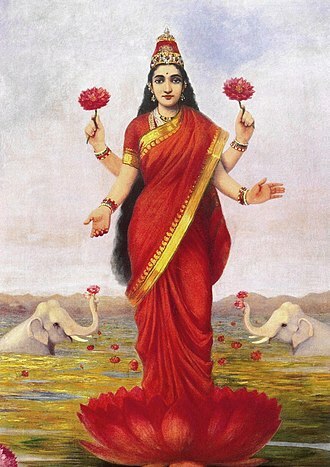 Her association with the giving of food (wealth) led her in time to be transformed into Lakshmi, the Goddess of Wealth. Annapurna I was the first 8,000-metre (26,200 ft) peak to be climbed. Maurice Herzog and Louis Lachenal, of the French Annapurna expedition led by Herzog (including Lionel Terray, Gaston Rébuffat, Marcel Ichac, Jean Couzy, Marcel Schatz, Jacques Oudot, Francis de Noyelle), reached the summit on 3 June 1950. Ichac made a documentary of the expedition, called Victoire sur l'Annapurna. Its summit was the highest summit attained for three years, until the first successful ascent of Mount Everest (although higher non-summit points - at least 8,500 metres (27,900 ft) - had already been attained on Everest in the 1920s). 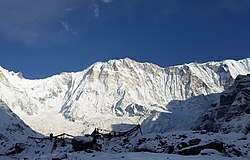 Annapurna I has the greatest fatality rate of all the 14 eight-thousanders: as of March 2012, there have been 52 deaths during ascents, 191 successful ascents, and nine deaths upon descent. The ratio of 34 deaths per 100 safe returns on Annapurna I is followed by 29 for K2 and 21 for Nanga Parbat. Climbers killed on the peak include Britons Ian Clough in 1970 and Alex MacIntyre in 1982, Frenchman Pierre Béghin in 1992, Kazakh Russian Anatoli Boukreev in 1997, Spaniard Iñaki Ochoa in 2008, and Korean Park Young-seok, lost in 2011. 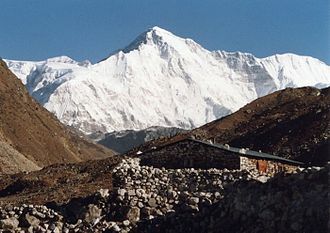 Gangapurna was first climbed in 1965 by a German expedition led by Günther Hauser, via the East Ridge. The summit party comprised 11 members of the expedition. Mount Machhapuchchhre (6,993 m or 22,943 ft), named after its resemblance to a fish-tail, is another important peak, though it just misses the 7,000 metre mark. Mount Machhapuchchhre and Hiunchuli are prominently visible from the valley of Pokhara. These peaks are the "gates" to the Annapurna Sanctuary leading to the south face of Annapurna I. Mount Machhapuchchhre was climbed in 1957 (except the final 50 metres for its local religious sanctity) by Wilfrid Noyce and A. D. M. Cox. Since then it has been off limits. In winter of 2018, a climbing team of two climbers, Erik Erving (22) from America and Khalid Shwibi (23) from Jordan attempted a winter ascent of Annapurna I but were forced to turn back due to high winds and lack of necessary supplies. Following their failed attempt on Annapurna I, they attempted Annapurna IV (7,525 m or 24,688 ft) via the southeast col., but at this point had too few supplies to continue. 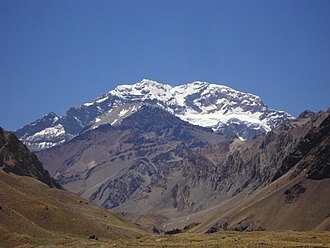 It is also known these climbers attempted to climb without Sherpa or Porter support, further lowering the pair's chances of reaching the summit. The Annapurna Conservation Area (7,629 km²) is a well known trekking region. There are three major trekking routes in the Annapurna region: the Jomson Trek to Jomsom and Muktinath (increasingly disturbed by a road-building project); the Annapurna Sanctuary route to Annapurna base camp; and the Annapurna Circuit, which circles the Annapurna Himal itself and includes the Jomsom route. The town of Pokhara usually serves as a starting point for these treks, and is also a good starting place for other short treks of one to four days, such as routes to Ghorepani or Ghandruk. The Mustang district, a former kingdom bordering Tibet, is also geographically a part of the Annapurna region, but treks to upper Mustang are subject to special restrictions. Mustang is also increasingly becoming popular for mountain biking because of the construction of roads undertaken by the Nepali government in the region. In October 2014, at least 43 people were killed, and some 175 injured, as a result of snowstorms and avalanches on and around Annapurna, including trekkers from Nepal, Israel, Canada, India, Slovakia and Poland. Between 10 and 50 people were thought likely to be missing. It was believed that about 100 trekkers had left a guest house at 4,800 metres (15,700 ft), to climb to the top of Thorong La pass and then descend. The authorities were criticized for not giving sufficient warning of the approaching bad weather. By 18 October, some 289 people were reported as having been rescued. An official from the Nepal Ministry of Tourism said on 18 October that helicopters were looking for survivors and bodies in snowy areas at up to 5,790 metres (19,000 ft), and were trying to reach 22 hikers stranded at Thorong La. The incident was said to be Nepal's worst-ever trekking disaster. South face of Annapurna South: Annapurna I (8,091 m) visible as the rounded top,left of center. Millet fields in the Annapurna region play a major part in local agriculture. A panoramic view of Annapurna South and Annapurna I from Annapurna Base Camp. ^ "Annapurna". Peakbagger.com. Retrieved 2009-01-12. ^ "Nepal/Sikkim/Bhutan Ultra-Prominences". peaklist.org. Archived from the original on 25 December 2008. Retrieved 2009-01-12. ^ H. Adams Carter (1985). "Classification of the Himalaya" (PDF). American Alpine Journal. 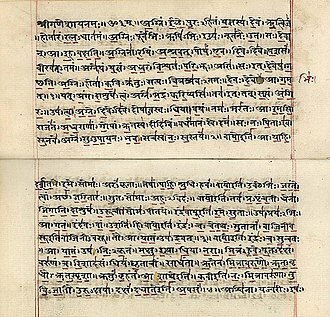 27 (59): 127–9. Retrieved 2011-05-01. ^ "Complete ascent — fatalities statistics of all 14 main 8000ers". 8000ers.com. June 19, 2008. Retrieved 2013-05-30. ^ a b c "Stairway to heaven". The Economist. May 29, 2013. Retrieved 2013-05-30. ^ a b "Nepal Annapurna: Climbing disaster toll reaches 39". BBC News. 18 October 2014. 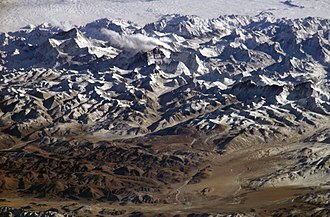 ^ "8000m Peak". summitpost.org. Archived from the original on May 19, 2007. Retrieved 2011-06-26. ^ "New Alpine Solo Route on the South Face of Annapurna". russianclimb.com. Archived from the original on 17 June 2011. Retrieved 2011-06-26. ^ "Climbing Annapurna: Tomaz Humar". Outside. January 29, 2008. Archived from the original on April 29, 2010. Retrieved 2011-06-26. ^ "Tomaz Humar klettert solo durch die Annapurna Südwand" (in German). Bergsteigen.at. Retrieved 2013-05-30. ^ Von: Text: adidas eyewear (November 26, 2007). "Tomaz Humar glückt Erstbegehung am Annapurna im Alpinstil - Climbing.de - Alle Infos für Bergsteiger und Kletterer" (in German). Climbing.de. Retrieved 2013-05-30. 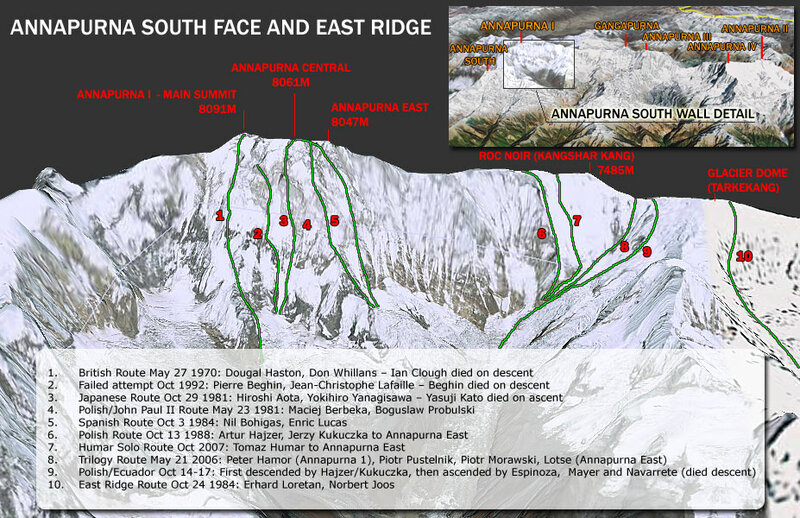 ^ a b "Annapurna South Face Routes", russianclimb.com, accessed 13 October 2013. ^ "Ueli Steck and Annapurna: the interview after his South Face solo", planetmountain.com, accessed 14 October 2013. ^ "Steck Solos Annapurna South Face", ukclimbing.com, accessed 13 October 2013. ^ "Annapurna South Face Solo - 28 Hours", ukclimbing.com, accessed 13 October 2013. ^ "It's over: Iñaki Ochoa lost on Annapurna". mounteverest.net. May 23, 2008. Archived from the original on October 15, 2009. Retrieved 2011-06-26. ^ Woo, Jaeyeon (October 31, 2011). "With Park Gone, Korea Loses Its Trailblazer". Korea Real Time (blog). The Wall Street Journal. Retrieved 2011-11-17. ^ Erving, 2018, p. 3,5,11-12. ^ Stacy Tasman (27 May 2011). "Nepal's shrinking Annapurna Circuit". ^ "Austin Pick: Circling the Abode of Snow". Archived from the original on 21 November 2008. Retrieved 2008-12-27. ^ "How to Hike the Annapurna Circuit". 2013-06-13. Retrieved 2016-08-23. ^ "Annapurna Circuit Trek". Retrieved 2016-08-23. ^ "Nepal trekking disaster: Britons still 'missing' after severe snow storm". The Telegraph. 19 October 2014. ^ a b c "Nepal blizzard: survivor tells of friends' deaths on Annapurna circuit". The Guardian. 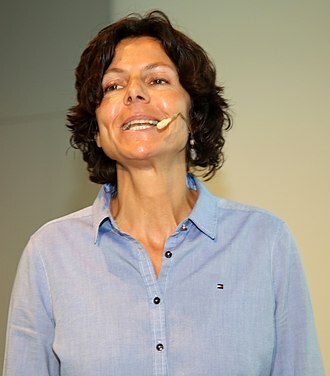 16 October 2014. Herzog, Maurice (1951). Annapurna: First Conquest of an 8000-meter Peak. Translated by Nea Morin; Janet Adam Smith. New York: E.P Dutton & Co.
Wikimedia Commons has media related to Annapurna. Artur Hajzer was a Polish mountaineer best known for the first winter ascent of Annapurna on February 3,1987 together with Jerzy Kukuczka. Artur Hajzer has seven main eight-thousanders to his name, several via new routes and he summited Annapurna East via a new route up the SE face in 1988. All these climbs were done together with Kukuczka, without oxygen or Sherpa support. Artur attempted Lhotse South Face three times reaching 8200 m in 1985,8300 m in 1987 and 7200 m in 1989 and he is known as organizer of a “thunderbolt” rescue operation on Mount Everest’s West Ridge for Andrzej Marciniak in 1989. On September 30,2011, he summited Makalu with Adam Bielecki, in July 2013 he died after falling in the Japanese Coloir after an attempt to reach the summit of Gasherbrum I. He was the creator of a program Polish Winter Himalaism 2010-2015, list of deaths on eight-thousanders MountEverest. net Polish mountaineering timeline Ice Warriors not give up - HiMountain winter expedition to Broad Peak - 2008/09. The Kali Gandaki Gorge or Andha Galchi is the gorge of the Kali Gandaki in the Himalayas in Nepal. By some measures the Kali Gandaki gorge is the deepest canyon in the world, this definition is based on difference in elevation alone, and only a fraction of it results from erosion often associated with canyons. Gorge depth is difficult to due to disagreement over rim height so this claim is disputed. The upper part of the gorge is called Thak Khola after the local Thakali people who became prosperous from trans-Himalayan trade, the gorge is within a structural graben. The gorge separates the major peaks of Dhaulagiri on the west, if one measures the depth of a canyon by the difference between the river height and the heights of the highest peaks on either side, the gorge is the worlds deepest. The portion of the river directly between Dhaulagiri and Annapurna I is at an elevation of 2,520 m or 8,270 ft,5,571 m or 18,278 ft lower than Annapurna I. 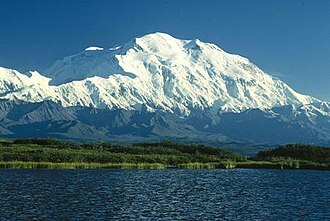 As tectonic activity forced the mountains higher, the cut down through the uplift. This region is known for fossils, revered as one of five non-living forms of Lord Vishnu. The Kali Gandaki river source coincides with the Tibetan border and Ganges-Brahmaputra watershed divide, the river flows south through the ancient kingdom of Mustang. It flows through a sheer-sided, deep canyon south of the Mustang capital of Lo Manthang. The river continues southward past Jomsom and Tukuche to the deepest part of the gorge about 7 km south of Tukuche in the area of Lete, the gorge broadens past Dana and Tatopani toward Beni. The Kali Gandaki gorge has been used as a route between India and Tibet for centuries. Today, it is part of a popular trekking route from Pokhara to Muktinath, the gorge is within the Annapurna Conservation Area. The pass at the head of the Kali Gandaki Gorge, Its 19th-century name was Kore La, the modern name is not known with certainty. Below is a quotation from Sven Hedins visit to the headwaters of the Kali Gandaki in 1904. He points out that the pass is only 315 ft or 96 m above the bank of the Tsangpo as it flows peacefully a few kilometres to the north in Tibet. Annapurna II is part of the Annapurna mountain range, and is the eastern anchor of the range. It was first climbed in 1960 by a British/Indian/Nepalese team led by J. O. M. Roberts via the West Ridge, the summit party comprised Richard Grant, Chris Bonington, and Sherpa Ang Nyima. In terms of elevation and prominence, Annapurna II does not rank far behind Annapurna I Main and it is a fully independent peak, despite the close association with Annapurna I Main which its name implies. Yugoslavs from Slovenia repeated this ascent in 1969, climbing Annapurna IV, kazmir Draslar and Majija Malezic reached the summit. In 1973 Japanese shortcut the route by climbing directly up the face between IV and V before continuing along the west ridge. Katsuyuki Kondo reached the top in a solo performance. In 1983, Tim Macartney-Snape planned and participated in an expedition to Annapurna II successfully reaching the summit via the first ascent of the south spur, the descent was delayed by a blizzard and the expedition ran out of food during the last five days. The Annapurna Sanctuary is a high glacial basin lying 40 km directly north of Pokhara. This oval-shaped plateau sits at an altitude of over 4000 metres, and is surrounded by a ring of mountains, because of high mountains on all sides, the Annapurna Sanctuary receives only 7 hours of sunlight a day at the height of summer. The unique combination of heights and depths on the 5-7 day trek into the Annapurna Sanctuary give rise to a variety of ecosystems. ”The entire sanctuary was held as sacred to the Gurung people. They believed it was the repository of gold and various treasures left by the Nāgas, the sanctuary was believed to be the home of several deities, from Hinduism and Buddhism as well as older animistic gods. The peak of Machapuchare at the entrance was believed to be the home of the god Shiva, until recently, the local Gurung people forbade anyone from bringing eggs or meat into the Annapurna Sanctuary, and women and untouchables were prohibited from going there as well. In recent years, the number of trekkers to the Sanctuary has increased substantially, the Annapurna Sanctuary is now part of the Annapurna Conservation Area Project, which places restrictions on number of outside travelers, gathering of firewood, and domestic animal grazing. The south face of Annapurna from the trekker's lodgings in the Annapurna Sanctuary. Annapurna Devi (sitting on throne) giving alms to Shiva (left), a scene from Annada Mangal, colour lithograph, 1895.